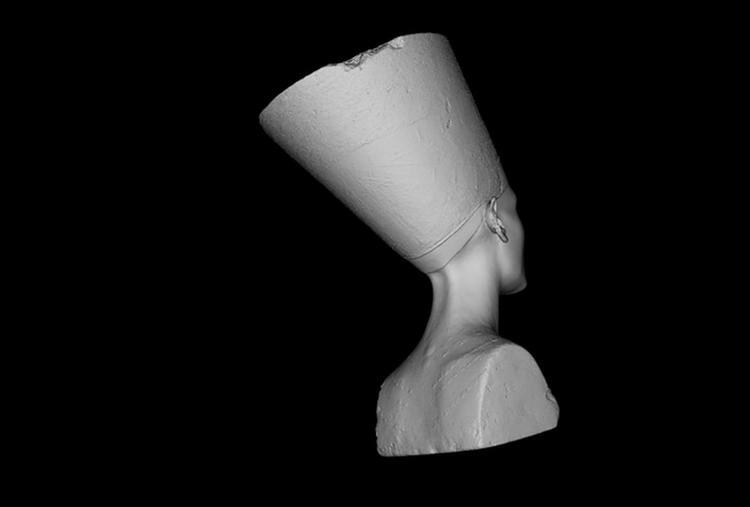 Nora Al-Badri and Jan Nikolai Nelles, an Iraqi/German artistic duo, covertly scanned a famous looted Egyptian treasure, the Bust of Queen Nefertiti, from its contested perch in Berlin’s Neues Museum. The hi-rez 3D file is now free to download and print — the artists have printed their own full-size epoxy resin replica. The original is the crown jewel of the Neues Museum, but Egyptian curators have long agitate for its repatriation to Egypt — it was looted from an Egyptian site in Amarna in 1912 by German archaeologists. 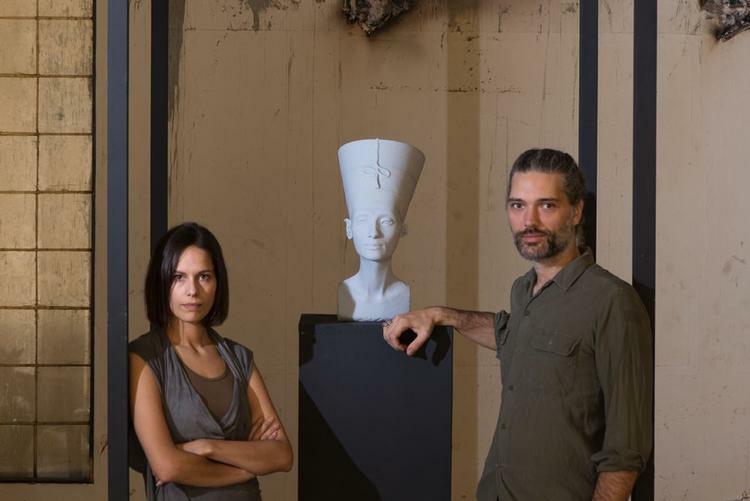 The artists have donated their replica bust to the Cairo museum. The Neues Museum is believed to have made its own scan of the bust, but it does not share 3D models of its collection as a rule, and has a generally guarded posture towards such data. It’s possible that the artists violated the museum’s conditions of admission by making their scan, but the bust itself is not in copyright. It’s my belief that trafficking in the 3D model by people who never agreed to the museum’s terms (that is, people who’ve never bought a ticket) is perfectly legal, though it may enrage the museum and possibly prompt legal action against the artists, whom, I suspect, would relish the fight. As scanning becomes easier and more reliable (it’s already possible to produce high quality scans from 2D photos shot from multiple angles, using algorithms that infer geometry from the stills), museums will have to contest with this kind of action more often, since banning scanners will soon be synonymous with banning cameras — and before long, that will be synonymous with banning assistive devices for patrons with visual impairments. . .